An engagement is an exciting time! Not only for the couple, but for their family and loved ones. Once you are engaged, the first thing everyone wants to see is the beautiful ring on your finger. (That may also be why about 30% of brides-to-be get a manicure if they suspect a proposal is about to happen). While toting around a stunning and unique diamond has its perks, there are some common engagement ring questions many couples have to figure out along the way. 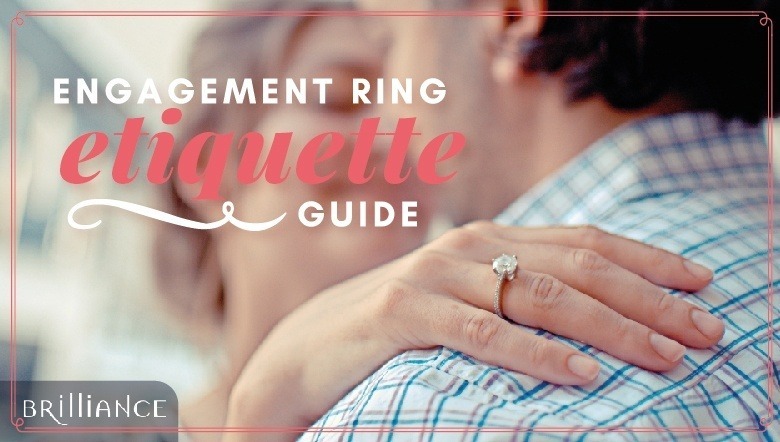 Luckily, we’ve got you covered with this guide all about the best etiquette for engagement rings! The tradition of the engagement ring dates back as far as Ancient Egypt, where lovers tied reeds or other plants around their left ring finger, believing a vein in that finger connected directly to the heart. The Ancient Romans continued the tradition, upgrading to gold bands. In 1477, Archduke Maximilian of Austria gave the world’s first diamond engagement ring, with a special design he commissioned for his betrothed, Mary of Burgundy. Diamonds and other gemstones waxed and waned in popularity until 1947 when De Beers launched the slogan “A Diamond is Forever,” popularizing the diamond engagement ring as a symbol of eternal love. Over the centuries, the prevalence and style of engagement rings have changed with the times. Different parts of the world maintain different traditions, but in the Western world, engagement rings have become a popular rite of passage for couples that decide to tie the knot. In terms of how and when to pop the question, there is no right or wrong answer. Tradition dictates that the moment should be a surprise for your bride, and typically, couples wait at least 6 months to a year before deciding to make such a serious commitment. But if the time is right, there’s nothing stopping you from asking whenever you want. Some couples get engaged in a spur of the moment and then choose to select a ring later. Other couples decide to get engaged and select a ring together, but the guy often still tries to make the exact moment itself an unexpected surprise. There’s also no rule saying that the guy has to propose to the girl — we support and endorse all relationships and hope whoever wants to pop the question has the courage to have their special moment. The proposal itself entirely depends on your relationship, but a good rule of thumb is to plan something thoughtful, meaningful, and specific to your relationship (maybe involve your hobbies, a callback to your first date, etc.). 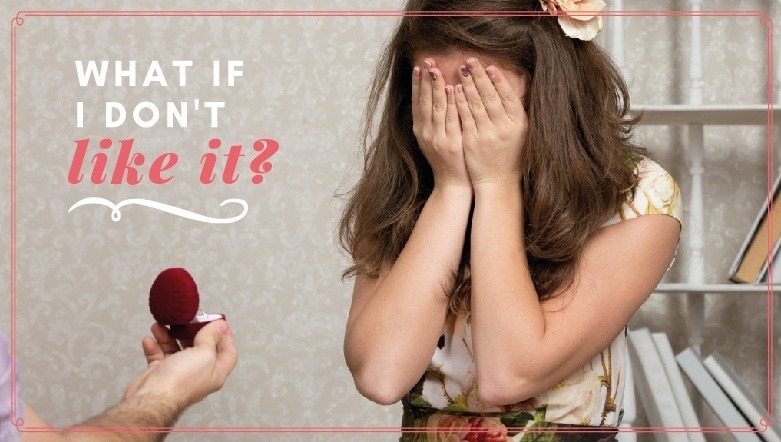 Be sure to take your partner’s personality into account and do not plan a large public proposal if they are typically shy and easily embarrassed. It’s up to you whether you want the ring itself to be a surprise or something you select together. If your girlfriend merely drops hints about what she wants or shares her Pinterest inspiration board, it’s a good idea to take your lead from her so you can be sure to select a ring you’ll know she’ll love. If you really want the proposal to be a complete surprise, consider popping the question before you ever look at rings, then you can make the choice together on a special outing. 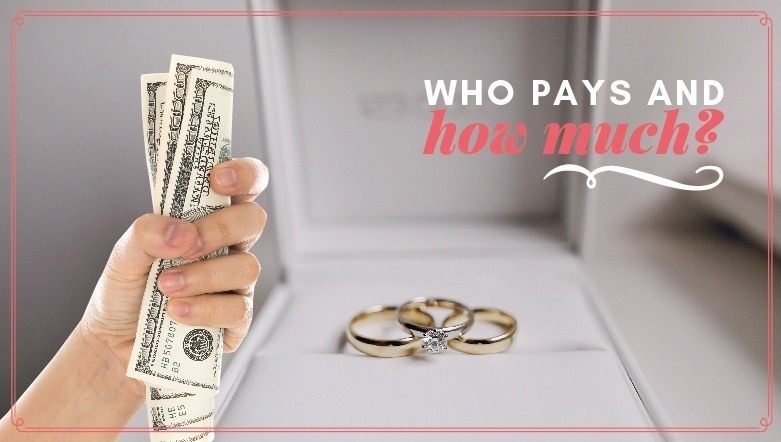 How much to spend is an obvious question when picking a ring. Popular (and traditional) rules suggest that a man should spend two to three months’ worth of his salary on an engagement ring. While that is the traditional dictate, the only real rule is that you should spend what you can afford. If dropping two months’ salary on a ring means you can’t make your rent, then don’t make such a lavish purchase. Select a ring that’s within a realistic budget for you, and if you feel it’s not adequate, plan to upgrade the ring at a future anniversary. Often a ring that’s in your budget but selected with great tenderness and care is far more meaningful than a 10-carat rock — many couples often choose to keep their more simple rings as a symbol of their love and where they were in life when they got engaged. Traditionally, the man has always purchased the engagement ring as a gift for his future wife (often this has been because the bride and her family regularly end up footing the bill for the wedding). Nowadays, things have become much more equitable with many partners splitting and sharing the costs of their wedding. With this trend, some have also decided to split the cost of the engagement ring. However, you should only broach this topic if your partner offers or insists — it is not appropriate to ask her if she’ll consider splitting it with you. The cost of the ring is your responsibility unless she suggests an alternative option. Additionally, many couples are now opting for his and her engagement rings. If you go that route, she will also be purchasing a ring for you, so it’s likely you won’t want to split the cost. Traditionally engagement rings feature diamonds, but you can select whatever gemstone fits your preference (and your budget). Many couples nowadays are opting for less traditional rings with sapphires, pearls, and more, in place of diamonds. When it comes to reusing a ring, this is a delicate issue. If you’re using a family heirloom, that is generally a beautiful gesture that gifts a ring full of family memories and traditions. You’re including your partner in your family history of love and commitment, and that’s a beautiful thing. However, we would advise against reusing a ring from a broken engagement or a past marriage. Typically couples like to start fresh and don’t want the ghost of a failed marriage/engagement or tragedy along with their engagement ring. On a similar note, if you break off an engagement, it is considered polite to offer to return the ring (barring extraordinary circumstances). This is again an issue of what you’re comfortable with on a personal level. However, if you really don’t like the ring he picked, it is ok to gently let him know. Politely explain that it’s not the right fit for you and offer to go with him to pick out a new ring (help ease the blow by offering to pay for the replacement as well). Many believe that you should be overjoyed and express gratitude no matter what your thoughts on the ring are — as it is a gift, they advise you bite your tongue and say thank you. But we think that since this is supposed to be something you wear until “death do you part,” you should at least like what you’ve got on your finger. Find a gentle and gracious way to tell your partner it’s not what you envisioned and work together to find the ring of your dreams. Men’s engagement rings are increasingly popular nowadays. Many brides-to-be select a ring for their partner post-engagement that he will also wear on his left hand. Traditionally, they are more simple than a woman’s engagement ring and can even be a plain metal band. Be aware that because they resemble a wedding band, some people will assume you’re already married. There is also an option for his-and-hers engagement rings — if you are selecting rings together from the get-go, this is an option you may want to consider. Or have his engagement ring custom made to complement yours! 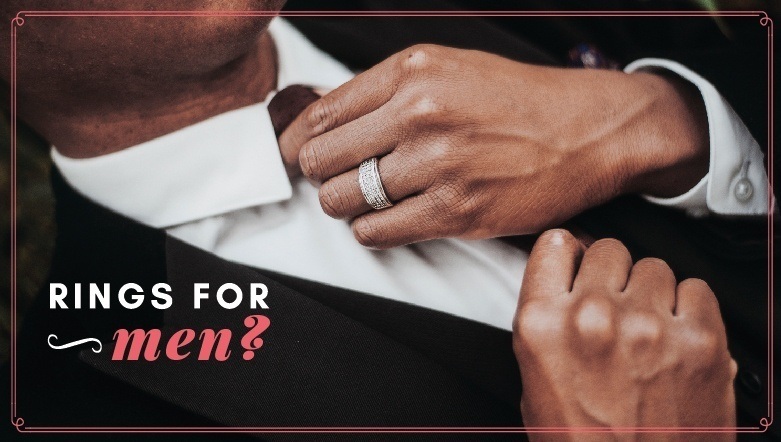 Either way, it’s perfectly acceptable for both partners to wear a ring to express your commitment — just don’t feel too frustrated if some assume you’re already married. When it comes to engagement ring etiquette, much of it stems from tradition and can be ignored nowadays. The bottom line is to do what you makes you and your partner happy and to always proceed with care and love in your heart. If you do that, you can’t go wrong.